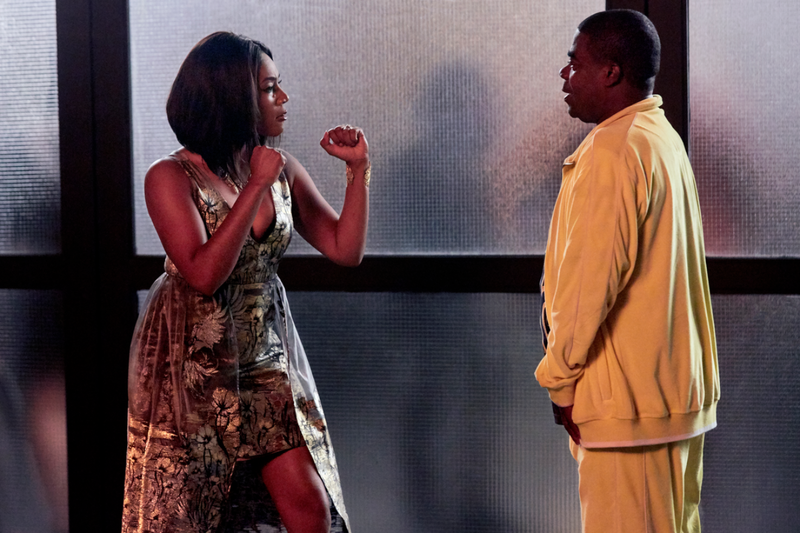 Tiffany Haddish in on a roll! The comedian and actress has hosted Saturday Night Live, is set to have her own animated series on Netflix, and will be honored at this year’s ESSENCE Black Women in Hollywood event. Now, the comedian is set to star in TBS’ The Last O.G. opposite Tracy Morgan. The series sees Morgan as an ex-felon, Tray, newly released from prison, who is shocked to see just how much the world has changed after returning to newly gentrified Brooklyn. Haddish plays Tray’s former girlfriend, Shay, who is happily married and raising their twins with a new man. In this exclusive clip, viewers go behind-the-scenes with Haddish as she takes a quick break while shooting. Haddish dishes on what she does between takes if she’s frustrated, jokingly pulling out a wad of cash to calm herself. Watch as Haddish drops hilarious nuggets of wisdom and anecdotes sure to make you cry laughing. The Last O.G. premieres April 3 at 10:30pm ET on TBS.